Kids will be kids, and one of my students let some gas (to put it nicely), making it impossible to continue with my lesson until we could clear the air. 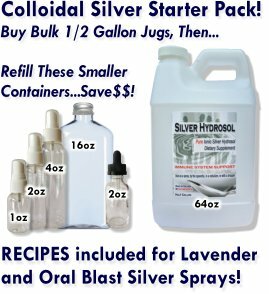 I have your Lavender Silver Hydrosol spray with me and tried it out! It was really interesting once I sprayed the classroom...the foul odor changed to something else, then vanished, leaving only the lavender and smiles on the students' faces! This product is a keeper! !